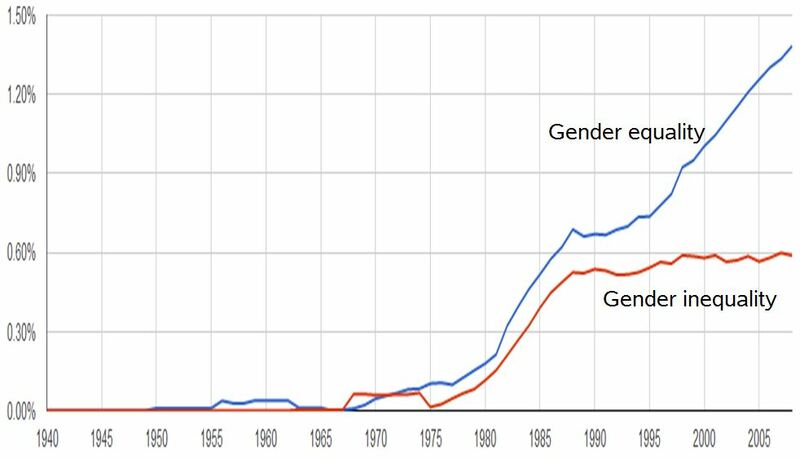 The use of “gender equality” took off, relative to “gender inequality,” right around the time the trend toward gender equality stalled on most measures (and a little while after working moms started replacing working mothers). 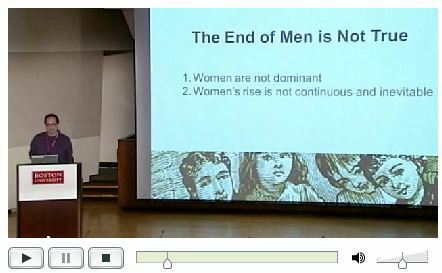 Is the use of “equality” triumphalism (pro), fatalism (con), or a more positive feminism? The story of women’s employment is not dominance, flipping, or tipping points—it’s convergence towards equality. In the first period of the recession, employment rates fell faster for men than for women. And for a moment at the end of 2009, women crossed the 49 percent threshold in their share of one measure of the labor force: the “B-5 series,” or nonfarm payrolls, from the Bureau of Labor Statistics. It excludes farmworkers and self-employed people, who are mostly men, so it leans more female. 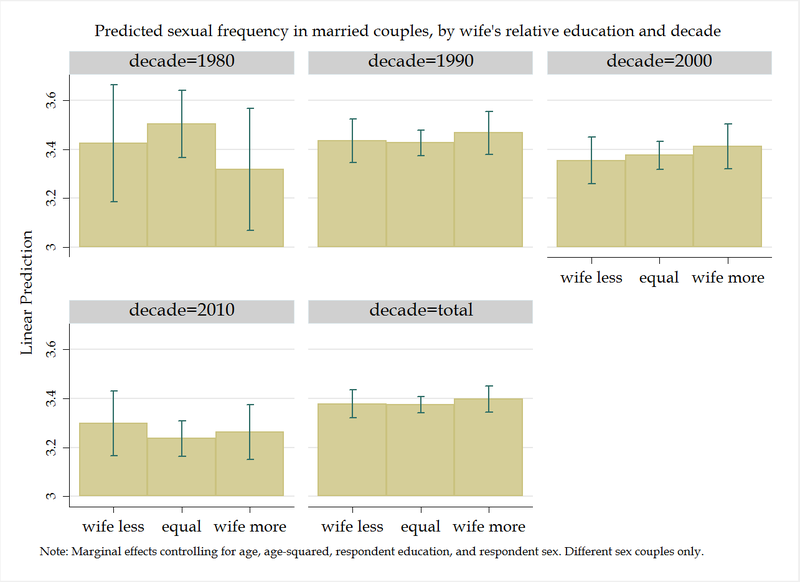 Across the developed world, a combination of the effects of birth control, social change, political progress and economic necessity has produced a tipping point: numerically, women now match or overtake men in the work force and in education. … this year, women will become the majority of the American work force. a major tipping point in our nation’s social and economic history: the emergence of working women as primary breadwinners for millions of families at the same time that their presence on America’s payrolls grew to comprise fully half the nation’s workforce. Ever since The Tipping Point, no one in the American media wants to miss the next big tipping point. For some reason reporting on demographic trends has been especially susceptible, even though they rarely fit the epidemic model the Malcolm Gladwell laid out — in which small innovations explode out into major trends for unpredictable reasons. The long-run news is the huge increase in women’s share of this labor pool. The medium-run news is the 15 years of stall from 1992 to 2007. The latest news is the increase since 2007, which moderated as women’s job losses partially caught up with men’s. That moment was not a triumphant entry into a new era, but rather a dramatic illustration of the hit men took at the start of the crisis. In my last post I showed that underlying economic pressure toward women’s employment has cooled since the 1970s. The data give us very little reason to expect a sweeping economic shift that privileges women’s jobs in the near future. Women have increased their share in every country. But no country has crossed the 50 percent threshold, and most show tapering or slowing progress as they approach it. Some exceptional countries—especially Spain, Ireland, and Italy—continue to rise quickly, but they were catching up from a low point in 1970. Maybe in next decade or so some of these countries will cross 50 percent, but from the slowing pace of change it doesn’t look like it will be a stampede over the line. In fact, the most dramatic thing about this figure may be the convergence between 45 percent and 50 percent, where 13 of the 18 countries now lie. Maybe it’s the winner-take-all, 50 percent+1 nature of the American discourse that creates this unhealthy focus on dominance, as if that can be captured by a single indicator passing a 50/50 threshold. 51 percent isn’t an on-switch for social dominance. If we could get out from under these 51 percent-take-all narratives we might be able to appreciate the progress that we have made toward gender equality, and focus on the obstacles that impede further movement in that direction.